Foiling is the new revolution in windsurfing. Reaching higher speeds on the board without needing a lot of wind. Windfoil surfing is possible with a wind speed starting from 8 to 10 knots, you only need enough wind to pull you up on the foil. 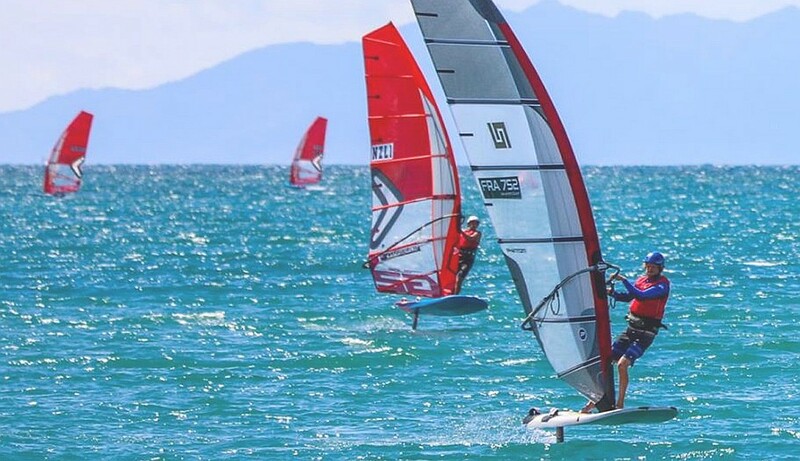 Foiling is a new racing format in windsurfing, it could even be the future of Olympic windsurfing. At the Medemblik Regatta racing in this class takes place from Thursday 23 to Saturday 25 May, scheduled after the RS:X races, this way the surfers in this class can also enter in the foil class. In the Netherlands there’s a growing fleet of windfoil surfers, for them this is a great opportunity to compete in an international fleet in Medemblik. At the Medemblik Regatta they expect 20 to 30+ competitors. The format is set to be close to shore, the races are fast and dynamic. Online registration for Windfoil surfing is open for men and women at the Medemblik Regatta website.